It’s hard to believe that Thanksgiving is already over and in another month, we’ll be celebrating Christmas. Despite the temperature starting to cool down outside, it feels like this is the time of year that everything is moving so fast you can barely keep up. Although the temptation is to huddle onto the couch with some hot chocolate and a good movie, there are a few things you should take care of around the house first before we can officially call it winter outside. If you’d like an HVAC specialist to visit your home before the change of seasons, don’t hesitate to contact the experts at Jay Mechanical. If you want to stay warm this winter, but don’t want to spend your whole paycheck on your energy bill, you should plan on making the most out of your fireplace this coming season. Try having it professionally cleaned and take time to find some good firewood. Although many of us love fall as a season, it’s never perfect. It’s easy to get mesmerized by the changing colors and falling leaves, but when those leaves are landing on your home or in your home’s gutters, you’ve got a problem on your hands. Make sure they’re cleared out before the heavy snow starts to fall. Your windows and doors will play a huge role in keeping the warm air in and the cold air out this holiday season. The good thing is that no matter how you choose to heat your home, whether it’s by fireplace or with your heating system, maintaining a properly insulated home will help no matter what. You should check your windows for any cracks or air leaks and consider recaulking to ensure everything is airtight. If you’re expecting a lot of snow this coming winter, there’s nothing more important than checking your trees before the heavy snow arrives. Trees that get weighed down by wet heavy snow are not only a safety hazard, but they can threaten your home as well. If you need to, call an arborist to come inspect your trees and be sure to check them after each snowstorm to see if the snow needs to be knocked off of them. One thing you need to get done before winter is to simply hire a professional to repair any appliances or fixtures that need it. Although you could wait until winter to take care of it, most people have a harder time getting things done in the winter and any technician you hire will be tracking in snow during the winter to get the job done. It’s best to handle these tasks while it’s still dry out. Going along the same lines as fixing your appliances, performing renovations on a home during winter is a pain for everyone. Chances are, you don’t want mud or snow to be tracked in during this time of year and your renovator likely won’t be too happy with you either. Unless you want to have your fireplace running all winter long (don’t do this; this is dangerous), you’re going to need to make sure your HVAC system is in tip-top shape. January tends to be the coldest season here in Vermont, so it’s best to get any needed repairs done by the end of December at the very latest. While you’re at it, be sure to consult with your HVAC technician to see if your system needs to be replaced. Although most systems last up to 15 to 20 years, others may go out as soon as 12 years or less, depending on how well it’s been maintained. Jay Mechanical is your top-rated HVAC company in Essex Junction and the surrounding areas. 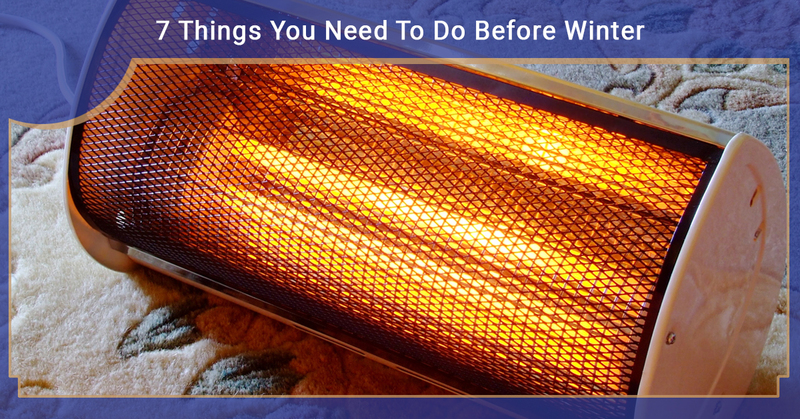 Vermont is known to get pretty cold in the winter and when it does, you need to ensure that you’re ready. Although you can leave your furnace as is, you’ll be risking having the system go out in the middle of winter when you need it most. If you have any questions or you’re ready to get started with your furnace repair or replacement, give us a call today.